The launch of the Dice last year broke all our previous records for a new kite! A favourite with the magazines and riders alike, everybody loved its playful nature. The low end of the kite has been improved this year; by opening up the profile the kite now generates more power in lighter winds. This open profile has also added more stability at the top end of the kites range too. It’s still great in the waves with the impressive drifting capabilities, but it is perfect for freeriding and freestyle as well. To ensure it excites the freestylers and freeriders out there we have made the kite more aggressive for improved lift and jumping characteristics. Of course the impeccable handling and manoeuvrability are still there, the Dice is exceedingly precise and responds to rider input immediately offering unrivalled feel at the bar. There is no need to take a gamble on the Dice; it’s quite simply one of the best kites on the market right now, perfect however you like to ride! 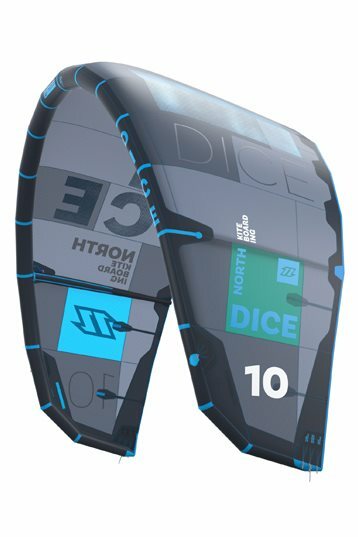 The new Dice is a Freestyle/wave kite. So I tried the Dice on a surfboard and twintip. 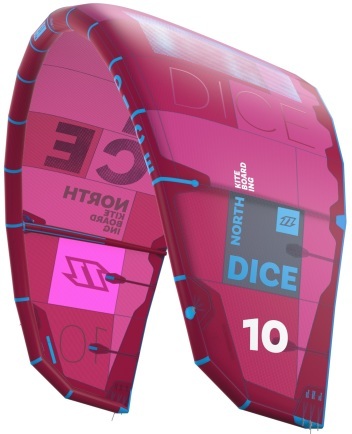 It took me some time to understand this new Dice. First session with the 9m was in overpowered conditions (+25 knots) and the kite didn't perform very well. Second en third time we had around 20 knots and the 9m performed much better. I think North gave the kite more performance at its low end/ mid wind range. With this new kite North combined freestyle characteristics like unhooked pop & wide sweet spot with surf characteristics like drift, fast & controllable, hooked in, kite feel. Thus if you actually look at the characteristics this Dice is a real combination of 2 riding styles. If you like a playful kite in it's low end and mid wind range try the new Dice! If you like high end riding with big airs check out the new Rebel 2015. P.S. New one line safety system worked very well.